But that’s exactly what they did last Friday. 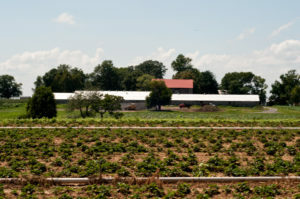 GM hosted a farm tour of three upper Montgomery County farms for me and a group of bloggers. 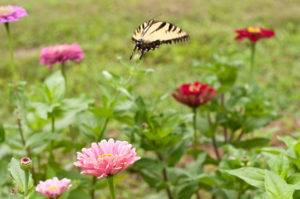 A Washington, D.C., bedroom community, you might wonder, “Montgomery County has farmland?” and in fact, that question was just answered in a July 30 Washington Business Journal article. 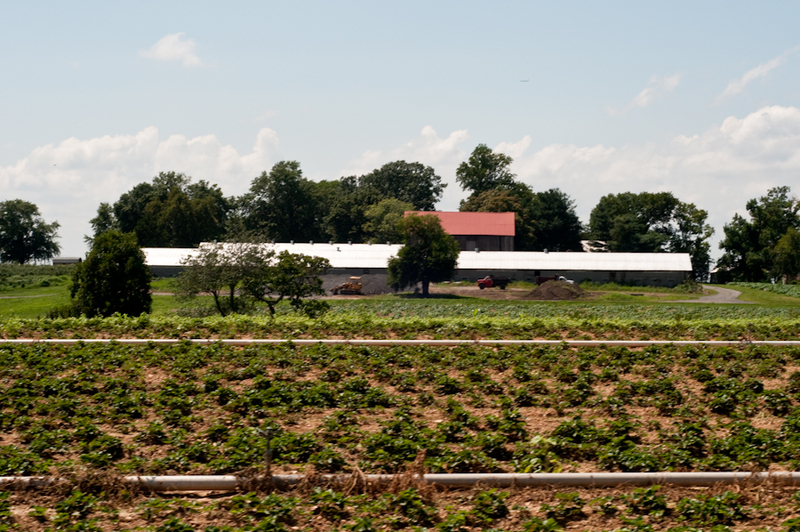 In the past three decades, farms have decreased in the county by 35 percent. But 77,000 acres of farmland are going strong, and we visited a few hundred of those acres this past weekend. So, anyway, where was I? Ah, yes. I hopped into my Terrain, Cecilia and Olga drove a Chevy Sonic hatchback and, those lucky ducks, Ashley and Sylvie, cruised up I-270 in a convertible Chevy Camaro. Rock Hill Orchard in Mt. Airy was our first stop. We encountered fields of pick-your-own flowers, blackberries and herbs. There’s also a sizable market with pre-picked items such as squash, corn, tomatoes and melons at good prices. 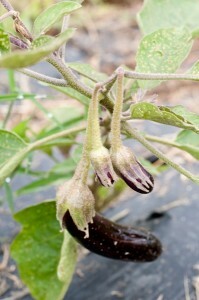 Do you know how eggplants grow? Neither did we until we saw their plump purple bodies budding from the vines. 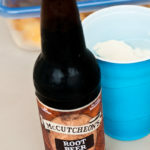 Back at the market, we were offered a variety of ice cream-based treats, and I chose a root beer float made with rich vanilla ice cream from the Prigel Family Creamery. 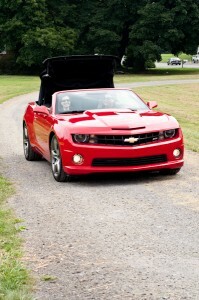 Head to Rock Hill Orchard to enjoy pick-your-own activities through the fall. Next we drove to Button Farm Living History Center, a remarkable 40-acre plot that is being developed as an authentic recreation of plantation life in 1850, specifically the life of a slave at the time. 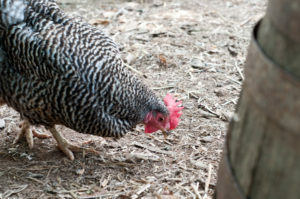 At the farm, we met their heritage breed chickens, roamed around the farm and heard stories about the Underground Railroad. As a native of Montgomery County, I was surprised to learn that Rockville Pike (Route 355) was an escape route for slaves. Our final stop on the tour was Butler’s Orchard, a farm I frequented many, many times throughout my life – with my grandparents, for childhood birthday parties and now I take my own son to Butler’s to pick produce. Butler’s Orchard is a 300-acre farm in Germantown offering pick-your-own activities from May to November (and December, too, if you count Christmas trees). There’s a large market on the farm as well where you can purchase a variety of produce, jams, jellies, prepared foods, pastas, canning supplies and so much more. Tyler Butler, grandson of the farm’s founder, piled our group into a tractor for a tour of the farm. Our first stop was to taste-test raspberries to check for ripeness (they’ll probably be ready in a few weeks) and then to dig up potatoes. Potatoes are tricky. I mean, how do you know when they’re ripe? Butler said that many farmers wait until the above-ground vegetation has turned completely brown before harvesting the potatoes. He demonstrated the technique with a long, double-handled, pitchfork-like tool. It’s hard work digging up potatoes! Please take the opportunity to make your own Montgomery County Farm Tour, perhaps this fall as pumpkins arrive and the opportunities for hayrides abound. 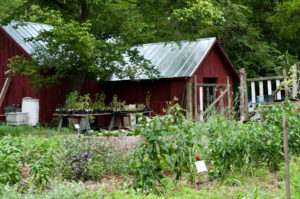 Rock Hill Orchard is located at 28600 Ridge Road, Mount Airy, Maryland 21771. Button Farm is located at 16820 Black Rock Road, Germantown, Maryland 20874. 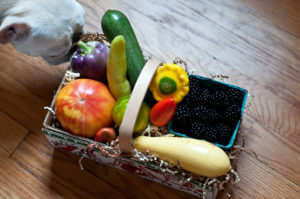 Butler’s Orchard is located at 22200 Davis Mill Road, Germantown, Maryland 20876. 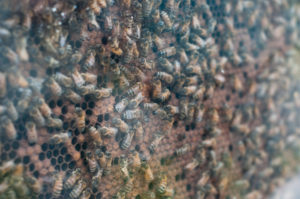 For more photos of the Farm Tour, please visit http://staceyviera.zenfolio.com/foodbloggerfarmtour. And what about the GMC Terrain on loan for the week? Well, stay tuned for more food adventures! "button farm living history center"
This was such a fun day! The photo of Tchotchke sniffing the basket is priceless! Love!